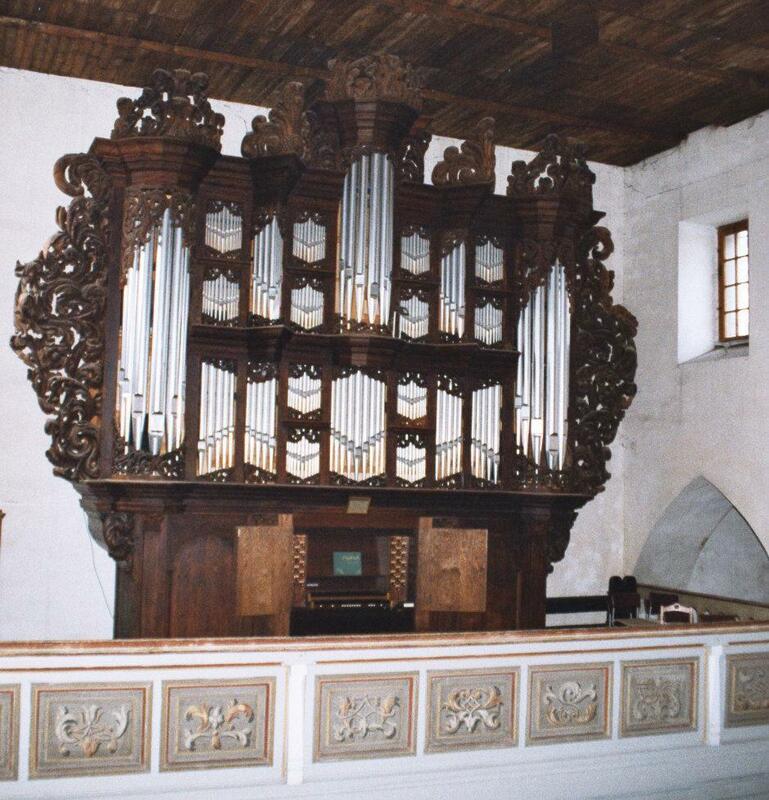 1698: New organ by Arp Schnitger for the Heilige Geist Kirche, Magdeburg, using 8 ranks from an old organ. 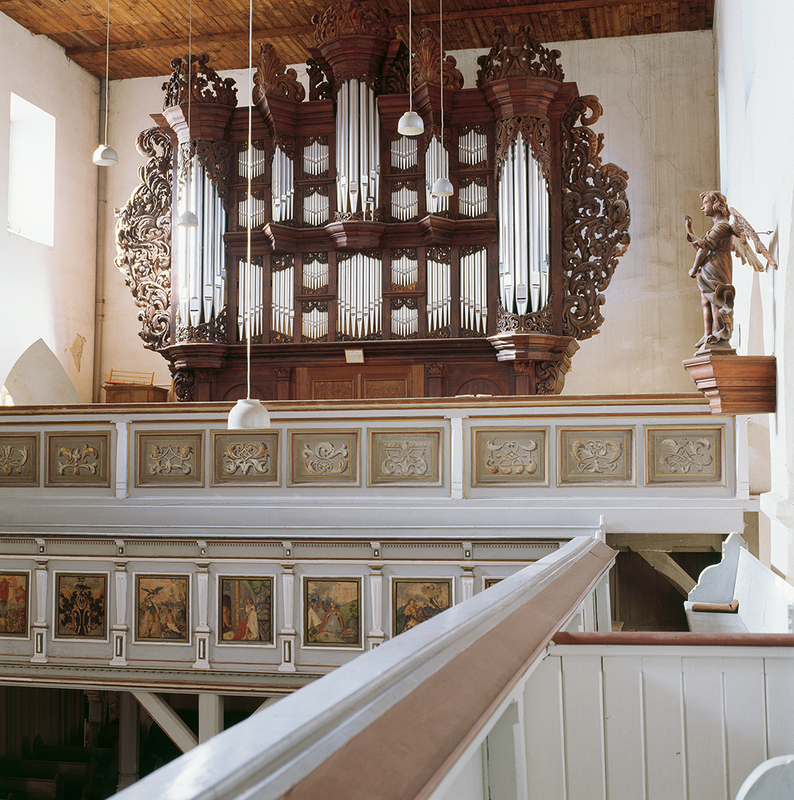 1737: The organ is moved to Gross-Quenstedt near Halberstadt. 1767: Repairs and changes by J.M. Schlesier. 1791: Repairs and changes by Jesse. 1820: Alterations by Christian Boden. 1866: Rebuild by W. Bergen in the existing case. Some Schnitger parts are re-used. 1897: Repairs and changes by Hülle. 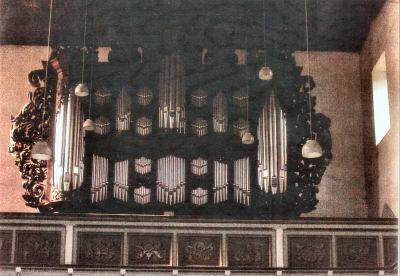 1978: The organ is in deplorable state. The case and surviving parts of Schnitger's organ (Pedal windchest, parts of the mechanism and some pipes) are transported to Wegeleben. 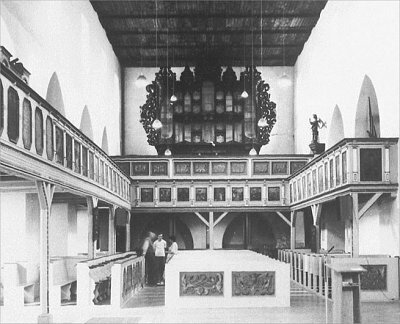 The church of Gross-Quenstedt was given up. Photo was received from Mr Rob Kruijt. 1988-1990: The case is restored by Schuke of Potsdam. There are plans for a Schnitger-copy. I thank Mr. Christoph Schulz from Magdeburg for his information. Source: http://goart-vas-1.it.gu.se/Webgoart/photos/Schnitger_2013/Wegeleben_St_Peter_u_Paul_h.jpg Click at the photo to enlarge.